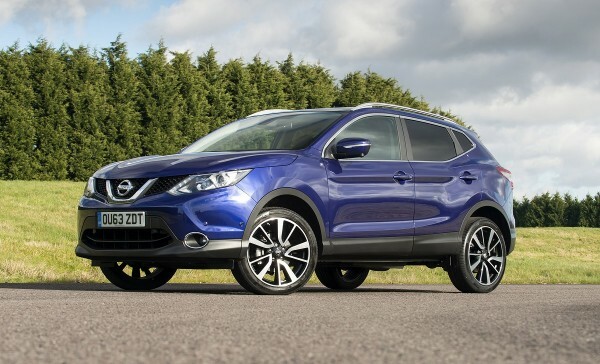 The Nissan Qashqai is the pride of the North East. Since its launch in 2007, it has been an enduring success that has increased its sales year-on-year, not only re-energising Nissan in Europe, but establishing the Sunderland factory it’s built at the UK’s biggest and best. It’s no surprise, then, to see that Nissan has stuck to the same recipe for the second generation model – it was designed in the Paddington styling studio, engineered and developed in Cranfield, near Milton Keynes, and built in Britain’s biggest and most industrious car factory. It really has been a Great British success story. Part of the appeal of the old Qashqai was its chunky, semi-off-roader styling, high driving position, family-friendly interior and overall practicality. All of those qualities are retained for the new Qashqai along with a sharper look. 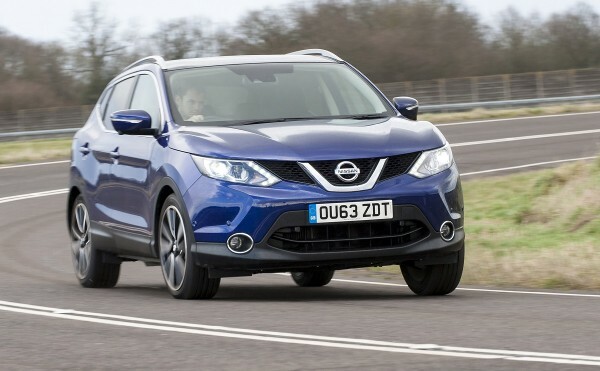 Nissan claims that the 2014 Qashqai has made great strides in other areas too – most notably cleaner engines, improved interior quality and ride and handling. All of these are needed – although the outgoing Qashqai sold more with each passing year, the opposition hasn’t been standing still, rolling out a number of appealing new models. The Qashqai therefore faces more competition than ever before. There’s a range of three engines from launch – the 1.5 dCi diesel, which is only available as a front-wheel drive manual, but delivers a tax-friendly 99g/km CO2 from 110bhp, the 1.6 dCi, which boasts 20bhp more and the option of a CVT automatic transmission and four-wheel drive, plus a 115bhp 1.2-litre DIG-T petrol, which replaces the old 1.6. A higher powered petrol, the 1.6 DIG-T with 163bhp, will be launched in September 2014, and looks very promising indeed. Clever systems include active ride technology which monitors the wheel speed to detect any undulations in the car’s ride, while a new Active Trace Control system will keep an eye on the trajectory of the car and mimic a limited slip differential to improve traction. Hill start assist will also be included to make it easier to start the car on steep inclines. Technology plays a big part in the new Qashqai and top spec models get traffic sign recognition, motorway lane departure warning and blind spot system that will alert the driver if a passing car is hidden from the mirrors. There is also a front collision avoidance system, that scans the road ahead by using a built-in radar system to stop the car if it detects a potential collision. The 1.5dCi is likely to prove the most popular engine choice and it’s a good all round package, especially considering it’s the entry-level model. It’s smooth and far less vocal than the equivalent model in the previous Qashqai, with a near-silent idle and smooth power delivery. It’s adequately quick off the mark and, although 110PS combined with this sized body means that you’ll need to work hard to get it up to speed, the ample torque helps it hold speed on hills with little effort. The gearchange is nice, positive and light, while the dual mode steering (you can choose Standard or Sport) is light and accurate. The change quality of the six-speed gearchange is excellent too. The official fuel consumption is 74.3mpg for the combined cycle and, given its flexible, easy going nature and excellent refinement at low revs, we can see that, with gentle driving out of town, matching this figure might be possible for anyone not in a hurry. We also tried the more powerful 1.6 dCi in six-speed manual form. The additional power is welcome for anyone who regularly drives on the motorway. Moving up to the 1.6 dCi also means you’re given the option of four-wheel drive, or the Nissan Xtronic CVT automatic. In six-speed manual form, it’s certainly punchy, but like the 1.5 dCi is also refined, especially at low speeds and during constant cruising. In terms of handling, the Qashqai is a much more polished all-rounder than its predecessor, even though that car already set a high standard. We tested the Qashqai on a mixture of A and B-roads, as well as motorways, and it’s clear that the British Engineers responsible for its ride and handling balance did much of their work here. It is well suited to our poorly-surfaced, highly-cambered roads. Around town, the ride is compliant and reasonably soft, even on 19-inch wheels, but thanks to excellent damping, at speed it feels planted and stable, with the accurate steering and high seating position helping the driver place the car confidently in bends. Wind and road noise are kept low at speed, although one test car had a noticeable rustle around the windscreen pillar at speed, which we’ll put down to being a one-off. The two-mode (Normal and Sport) steering made little odds, with just a slight difference in weight and seemed a bit pointless to us. However, the Active Trace Control worked well in keeping the handling in check in speed corners, while the Nissan Safety Shield systems added some nice touches, such as lane guidance and blind-spot protection. It’s in the cabin where the biggest leap has been made from the old Qashqai to the new. Overall quality has been upped throughout with a much more premium feel about the controls. Equipment level are better, the touchscreen is larger and the old manual handbrake has been replaced by a new electronic parking brake. 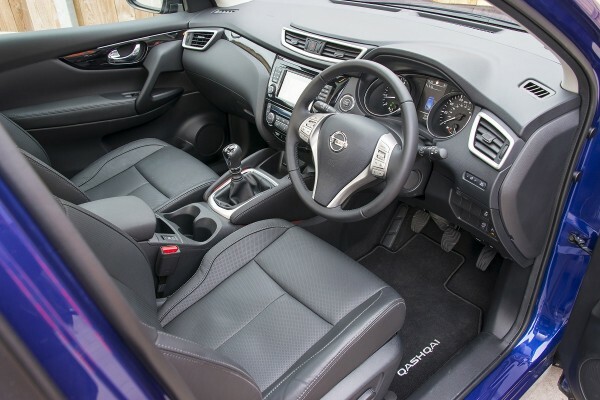 We’ve lost the old Qashqai +2 variant, although Nissan argues that the new car has much of the additional bootspace that it offered, even though the additional rear seats have been sacrificed. Getting in and out is easier than before, thanks to larger and wider-opening doors. Comfort and support from the new driver’s seat are both excellent and the systems that are operated via the touchscreen are logical and easy to use. This move to premium and more equipment has not seen Nissan lose focus on what owners want – all of the practicality and adaptability of the old car is still there, along with a few additions. The tailgate is wider opening and the boot is bigger up to 430 litres from 410 litres. It comes with an adaptable split level floor, which when in place leaves no loading lip. It’s reversable, so that owners with muddy dogs need not worry about getting their boot carpet wet – one side of the false floor is trimmed, while the other side is finished with a tough plastic backing. The false floor also takes more than 100kg, so don’t worry about breaking it. Other neat touches are the two floor panels of the false floor which can either be used to divide the boot space. In the cabin there’s the same multitude of storage areas, with more room for oddments in the centre console thanks to the loss of the old-style handbrake. Up front there’s plenty of room and great forward visibility. All of the switchgear and controls work well, with good switch feel. The touchscreen is well-sized and easy to use, but slightly lower than we’d like and some of the safety system controls are buried too deeply in sub-menus. Passengers get a good ride up front too with excellent head and leg room while, in the rear, the story’s also good, with ample headroom, if not the acres of knee room you might expect for a car in this class. 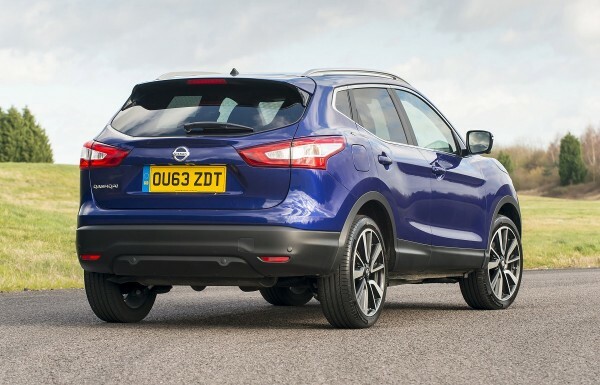 In a nutshell, the Qashqai is a very useful improvement over the old car – it rides better, handles more confidently and has a much cleaner range of engines. Overall, it’s a far more refined and mature car. You can guarantee that it’s going to continue the Great British success story. We have this in NA, but we call it the Rogue, it is also made in the Tennessee plant Nissan has had for years. A good looker in it’s class. Great looking car and a very proud British achievement. Does it have to have another bloody electric handbrake though? Is the electronic parking brake why so many Qashqais look abandoned across 2 spaces in supermarket car parks? Good looking car. Deservedly popular in the UK. The mark one was an excellent car and this looks to build on that success. My only issues are around the automatic: CVT sounds a bit old hat against the more modern DSG-type twin clutch. #5 – CVT is where it’s at, particularly when it comes to gaming the CO2 figures. Modern CVTs typically have better CO2 figures than their manual equivalents, and have come on a long way since the DAF Variomatic. DSG transmissions are heavy and expensive by contrast. #3 I would say that people who are not confident drivers like the Qashqai, because you sit high, like in a Land Rover, but without paying Land Rover prices. An SUV look-alike at a family hatchback price. 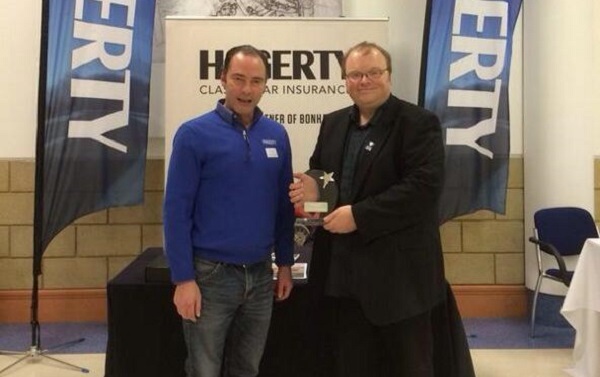 Qashqai genius and a deserved success. May it continue for the benefit of UK plc. A good point. However it is a bit concerning that unconfident drivers choose to drive such a big, bulky, heavy vehicle with tall blind spots (ie. you could almost get an MX5 alongside it without them noticing when changing lanes). Saw my first New Qashqai the other day… at first I thought it was a Hyundai iX35 (from the rear) Not a bad looking car though and I’m sure it’ll be a success. Like it a lot, well done Nissan. I just wish they would revert back to Datsun. @7 I think the size of such vehicles would put off most new / un confident drivers. @8 and motorbikes, push bikes, pedestrians …..
@LeonUSA: the Rogue is an X-Trail, and bigger than the Qashqai. Nice car, front looks a bit like SAAB 9-3 rear looks like a Lexus, not a bad looking car at all. Nissan now make an excellent range of cars and the Sunderland factory has been a massive success. I think the new Qashqai will do as well as the old one. 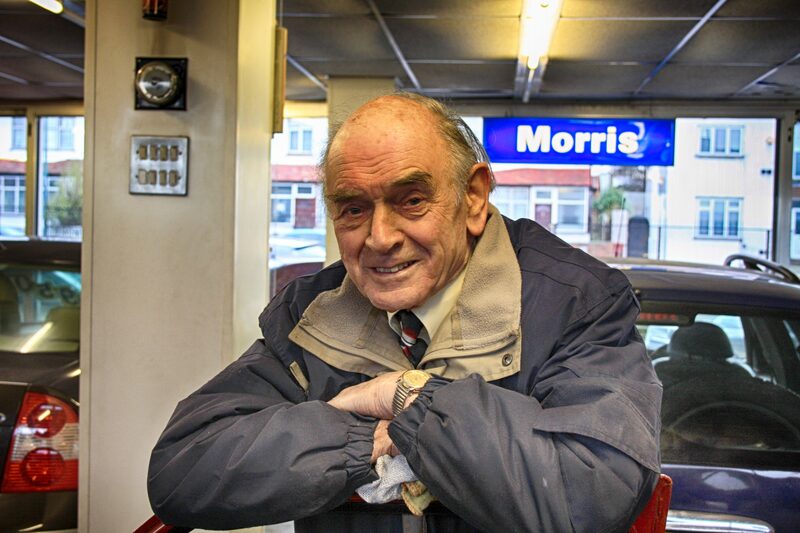 Yes Glenn… Nissan in the UK and their products have come a long way since the Cherry’s, Sunny’s, Violet’s etc of the 1970s & 80s. Guess the same can be said for all manufacturers. 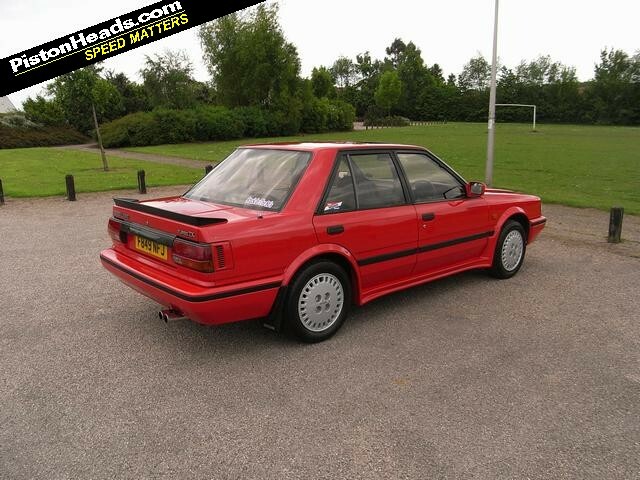 Pity we can’t say the same about MG Rover though. @7 & @8 SUV’s have given previously not very confident drivers such confidence that they can now easily use their Smartphone whilst driving. @17. There are plenty of drivers not driving SUV’s that use their mobile phones (or eat, drink, apply makeup, shave….). Didn’t the old car have a 2 litre diesel option? It will be interesting to see if the interior quality really has been upgraded, the old car disappointed me in this respect. Can never understand the irrational hatred toward electronic handbrakes – or Electrically actuated handbrakes as they should be called. Mine applies at a flick of a switch and releases automatically when you pull away. You can even put it in a fully automatic setting and dont need to touch it at all. How on earth can this be worse than yanking a ruddy great 1950s style lever against a ratchet? In my experience, I’d prefer a 1950s lever to sensors and electrics which, over time in a car, inevitably go wrong. @ 16, however, Nissan ( or Datsun in those days) established massive sales by making very reasonably priced, reliable cars with standard equipment like radios and sunroofs that were extras on basic British cars. The market for their products has remained loyal for 40 years and now they’re making some innovative cars with the same values in Britain. I was in the North East today and I’d say Nissan are as common as Ford over there due to the local link. Actually I am hopefully trading in my ageing and battle worn last generation Fiesta for a Nissan Micra. I know this isn’t the most trendy of their products, but can you complain with a fully loaded five door supermini which offers over 50 mpg, costs £ 30 a year to tax, has a solid reliability record and is easy to drive. I’ve owned a Nissan in the past and the economy and value for money have always impressed me. @19, Electronic handbrakes are fine when working correctly and the rest of the vehicle is in tip top condition. Just wait until the battery goes flat or the switch itself fails. It is just a gimmick to sell cars. And as an ex recovery driver I can tell you that they are a nightmare, requiring allsorts of special equipment just to move the damn car. Some but not all manufacturers have thought of this and fitted an emergency release, which is usually connected to a ratchet system. But at the end of the day it is just a gimmicky expensive complicated way of doing a simple job. Perhaps we should replace steering wheels with somesort of joystick control. Sean @ 24, maybe the Quartic steering wheel should make a comeback. Very much criticised in the Allegro but not a peep about the one in the SD1 – strange. I agree with 24, electronics are fine and dandy until they go wrong, then the fun starts! Manufacturers like electronics as they sell cars and are relatively inexpensive to fit as they buy in large quantities. Not the same when you want to purchase a replacement and have to get it programmed into the system. Am I wrong in thinking that most of the breakdowns that occur in modern vehicle are caused by electronic component failure or software glitch?